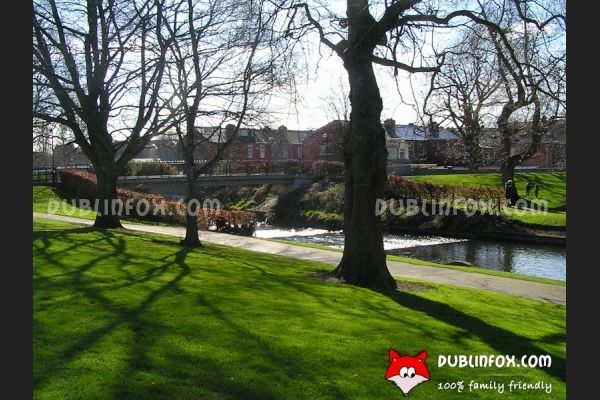 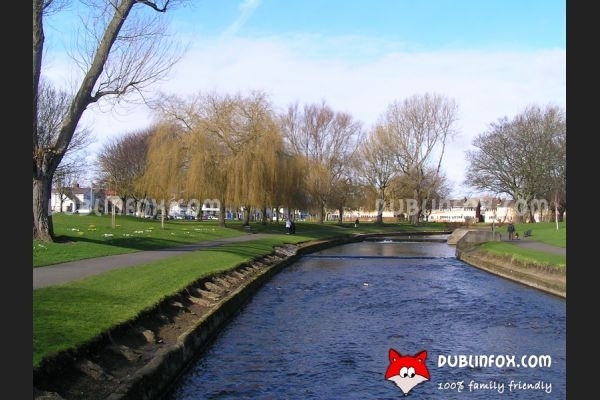 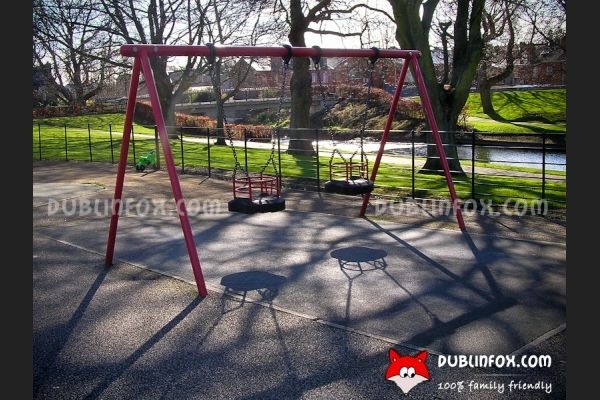 The gorgeous Griffith Park is located between Drumcondra and Glasnevin and it is divided by the River Tolka. 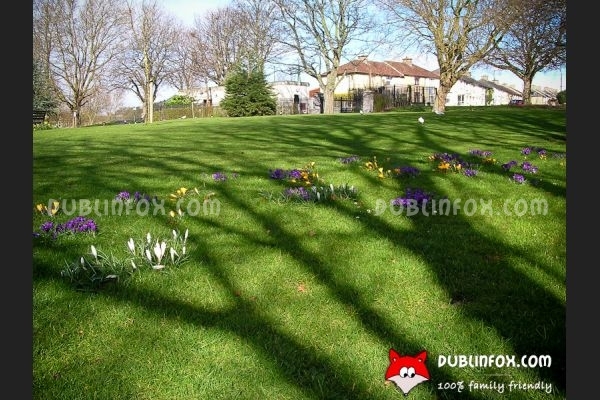 The park is very well-maintained and its green grass is really welcoming and relaxing for the eye. 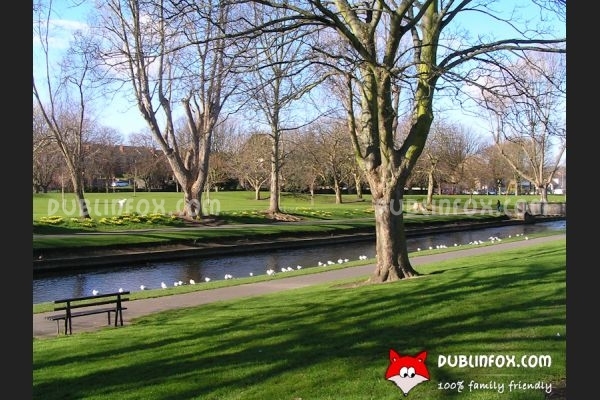 Near the river, usually there are some hungry ducks, most toddlers are eager to feed them. 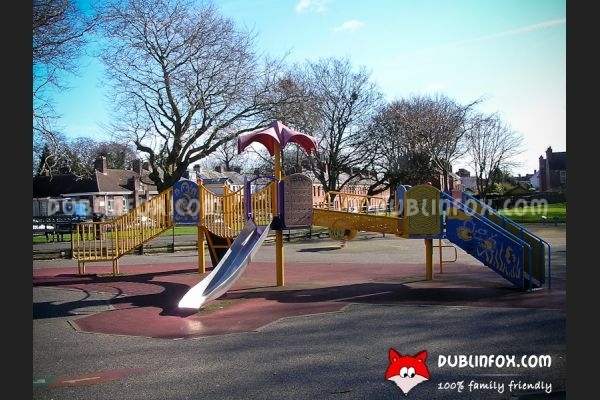 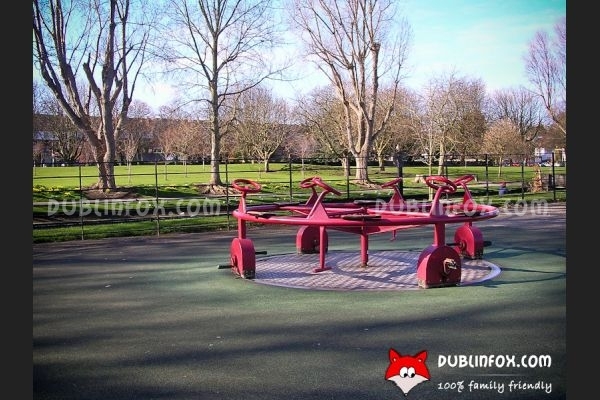 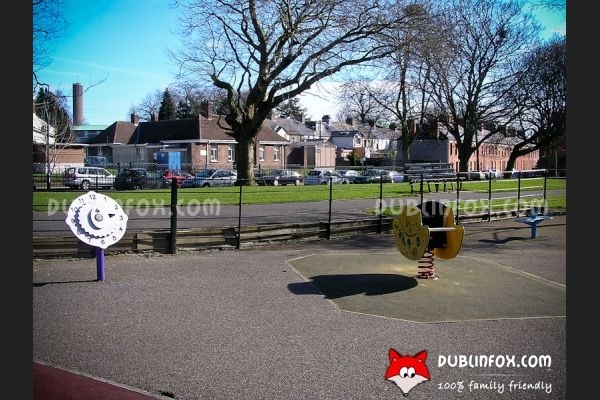 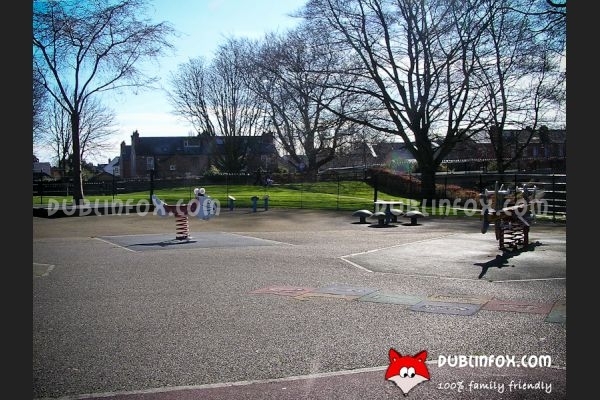 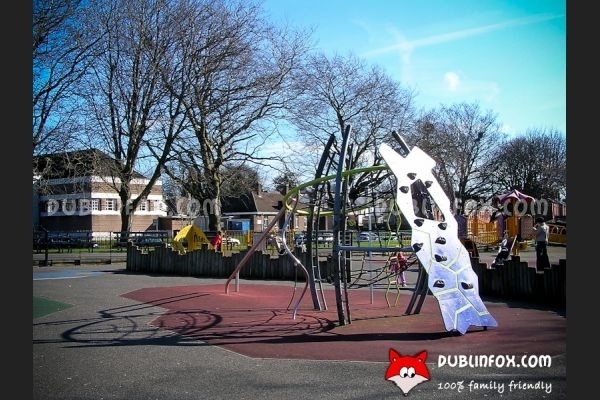 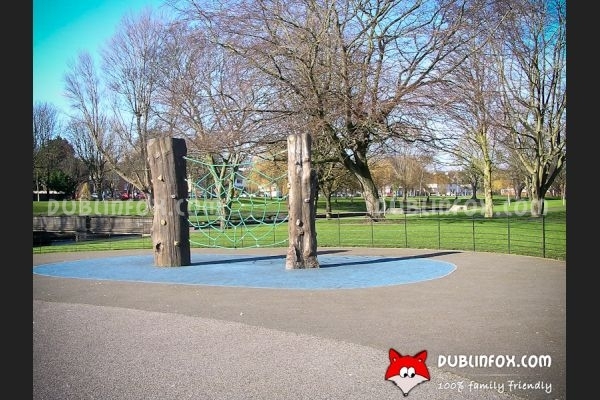 The playground, situated in the middle of the park, is relatively big and well-equipped. 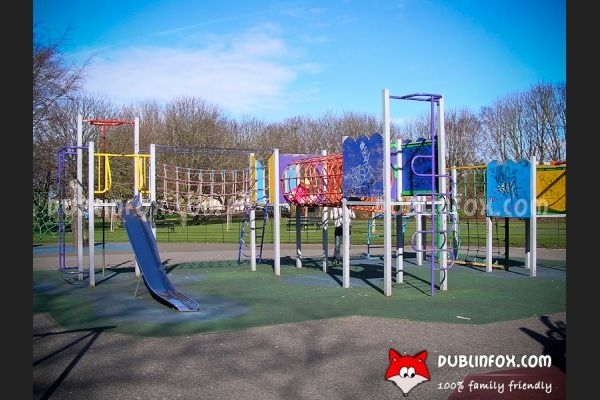 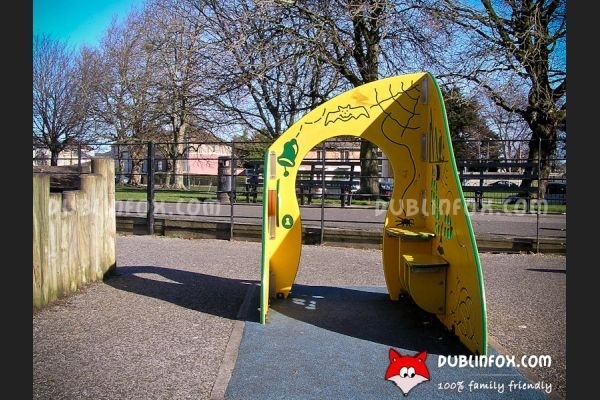 It has two areas: the toddler section contains a few springers, two baby swings, a multi-play unit, a roundabout swing and two play panels, while in the other area, there are two climbing structres, two swings and a multi-play unit with slide. 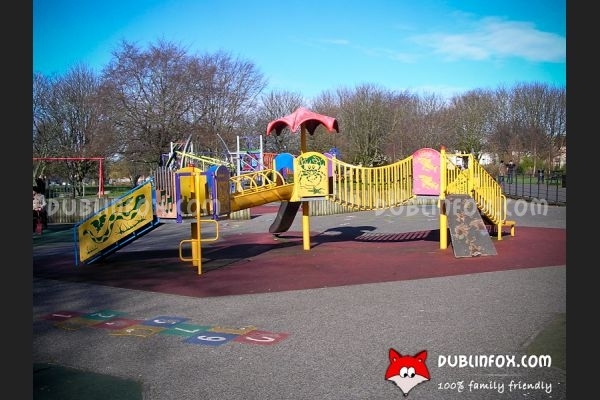 The playground is popular, we visited it on a cosy weekday and it was rather crowded, so it is a great place to socialise besides exhausting the kids. 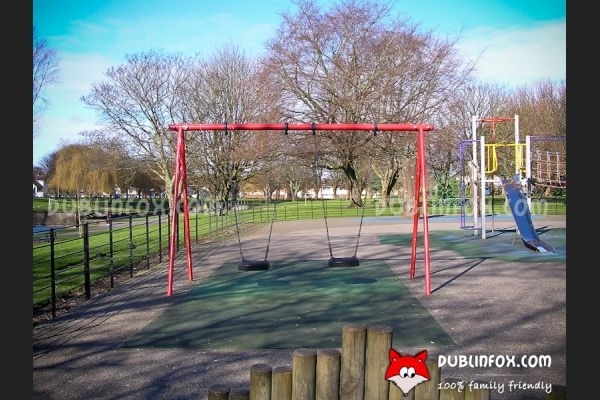 Click here to open Griffith Park's website in a new window.